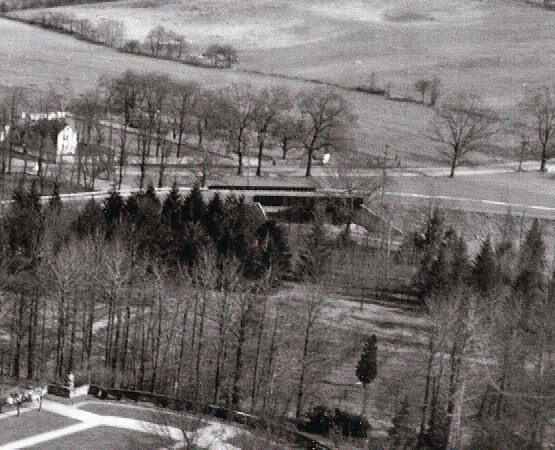 This 1927 aerial shows a spectacular view of the Deepdale Estate, former Lake Success home of William K. Vanderbilt, Jr., and the Marcus Avenue Motor Parkway Bridge. 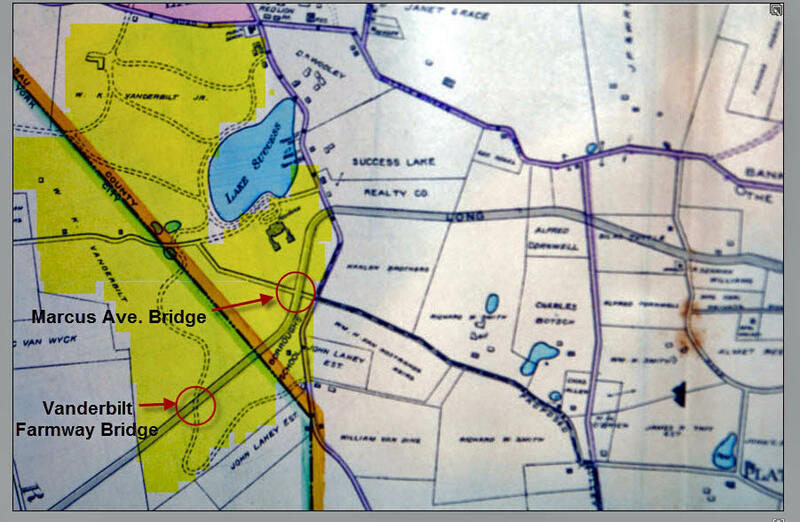 The property for the Marcus Avenue Bridge (then called Hyde Park Road) was located on William K. Vanderbilt Jr.'s Deepdale Estate. 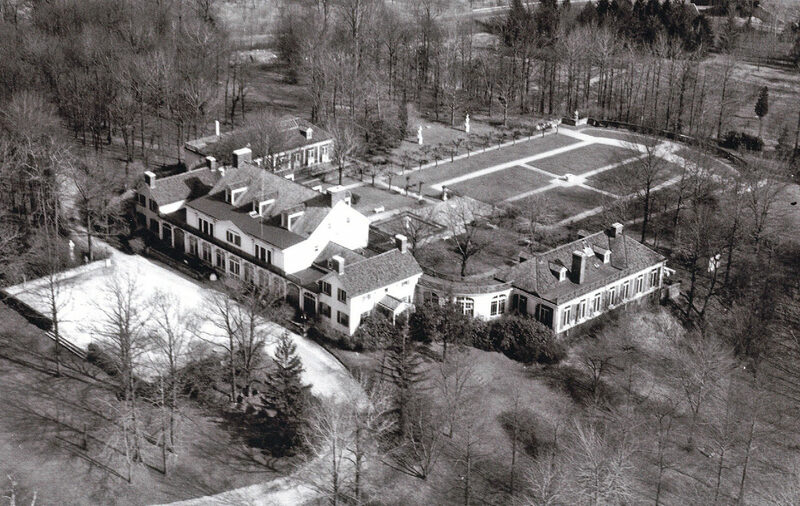 The Deepdale Mansion and surrounding buildings. A close-up of the mansion. 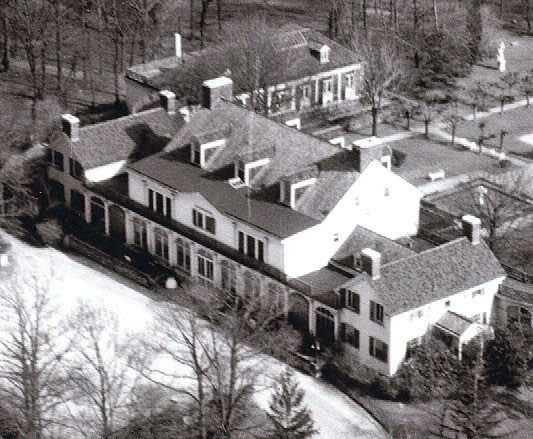 The Schumacher House (Cornell-Van-Nostrand House), now a Town of North Hempstead landmark moved to New Hyde Park. 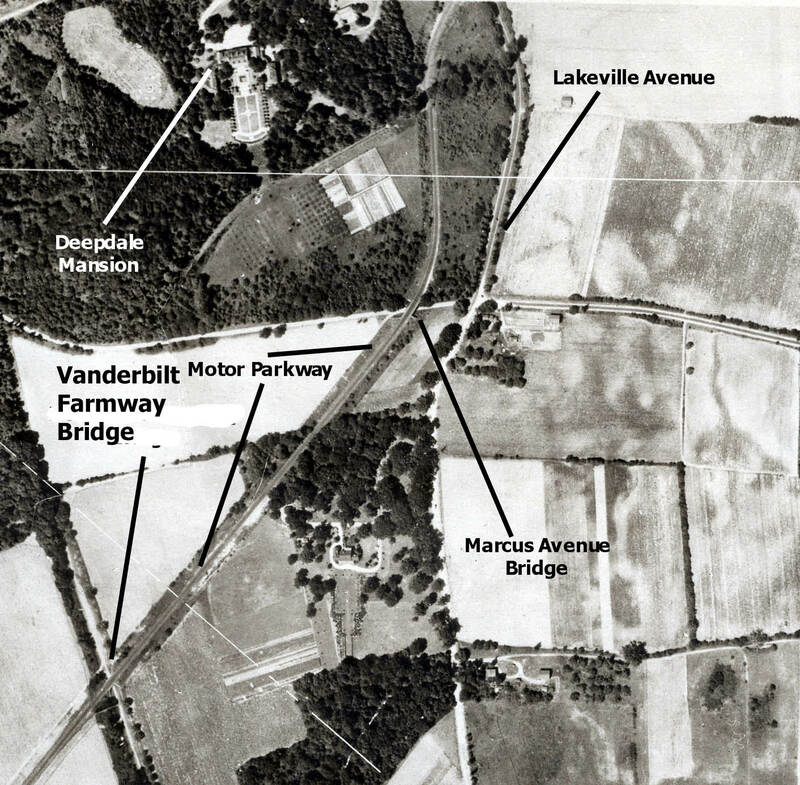 Does anything at all of the original highway exist in that short stretch between the location of the Marcus Ave bridge and where it crosses Lakeville Road? Not really. This area was cleared for road and parking lot construction. A roadway that runs behind the synagogue, from the parking lot at its southern end to the driveway exit leading onto Lakeville Road, seems to follow the path of the LIMP. John, you are correct. However, there are no remnants of the Parkway remaining. Howard, thanks - nice pictures. Coincidentally, I just picked up a postcard dated 1912 titled “East Wing of W.K. 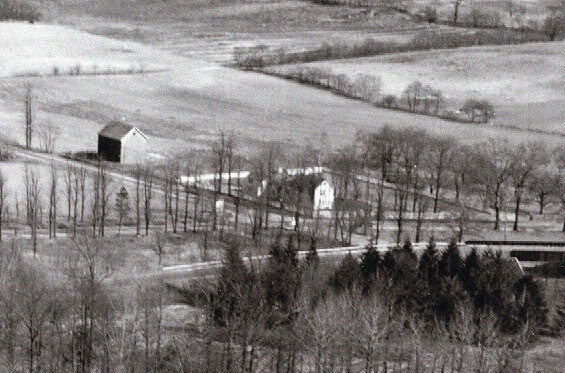 Vanderbilts Residence , Lakeville, NY. I’ll send you a scan so we can compare. Great edition. Aerial shots really interesting. Looks like a nice home. Also nice smiles and thumbs up shots.